Ok folks...I know you are so excited to find out who won the $300 Silhouette Craft Cutter Machine. I am SO excited to announce it! I adored all 2, 811 of your comments...And seriously wish I could give each and every one of you a craft cutter! THANK YOU FOR YOUR COMMENTS, EXCITEMENT AND HELP WITH THIS GIVEAWAY! "I would definitely use this amazing machine for scrapbooking & home decor...I'm sure I could find a million more uses, too!!!!!!" THANKS AGAIN SILHOUETTE & How Does She!! 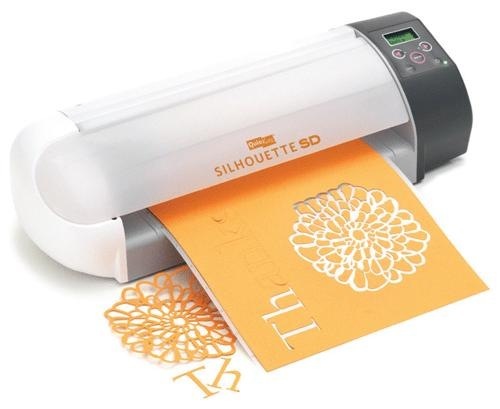 Remember, you can still use my promo code 'Party' at checkout and save some major $$CASH$$ if you buy a Silhouette here before September 4th at midnight!!! Awesome.. I wish my name was Maggie right now. haha.. looks like I'll have to buy my own!! Thank you so so much, Kara!!! I'm so completely excited I can hardly stand it!!! Thank you! however, Kara, I used your code to buy one for myself yesterday! Can't wait til it arrives!